FINAL PRICE FOR CLIENT WITH VAT! Original remote control. Compatible with WETEK PLAY. Designed for easier and faster operation with Enigma 2. Weight: 0.500 Kg. FINAL PRICE FOR CLIENT WITH VAT! Original remote control. 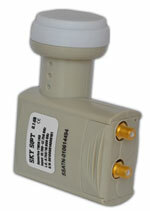 Compatible with all BULSATCOM receivers. Weight: 0.500 Kg. FINAL PRICE FOR CLIENT WITH VAT! Original remote. 100% compatible with: SKY SAT MASTER HD SE. SKY SAT MASTER PLUS. SKY SAT MASTER SHD. Weight: 0.500 Kg. FINAL PRICE FOR CLIENT WITH VAT! Original remote. 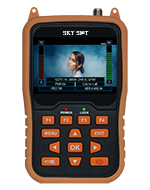 100% compatible with: SKY SAT PUBLIC THD. SKY SAT UNIVERSAL HD. Weight: 0.500 Kg. FINAL PRICE FOR CLIENT WITH VAT! Original remote. 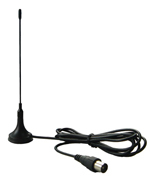 100% compatible with all Vu+ receivers. FINAL PRICE FOR CLIENT WITH VAT! Original remote. 100% compatible with AzBox Premium HD PVR. FINAL PRICE FOR CLIENT WITH VAT! Original remote. 100% compatible with AzBox Elite HD PVR. FINAL PRICE FOR CLIENT WITH VAT! 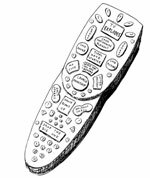 Original remote. 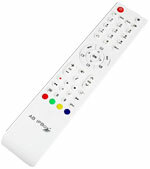 100% compatible with IpBox 91 HD PVR. FINAL PRICE FOR CLIENT WITH VAT! Original remote. 100% compatible with Dream Box 500 S.
FINAL PRICE FOR CLIENT WITH VAT! Original remote. 100% compatible with Optibox FTA PVR Ready EXTRA. FINAL PRICE FOR CLIENT WITH VAT! Original remote. 100% compatible with Optibox CX PVR Ready EXTRA. FINAL PRICE FOR CLIENT WITH VAT! Original remote. 100% compatible with Optibox TSCX COMBO PVR Ready. FINAL PRICE FOR CLIENT WITH VAT! Original remote. 100% compatible with Opticum 4000 C.
FINAL PRICE FOR CLIENT WITH VAT! Original remote. 100% compatible with Opticum 4050 C.